Who is your sporting hero and why? I’d say Keith Earls again, no matter how hard the game is going you’ll always see him trying his hardest and not giving up, he has great personality and dedication. What advice would you give to young players? Enjoy the game as much as you can and try your absolute best! Achievements with your club to date? Minor and under-21 South and County titles. South senior title. Favourite G.A.A. player and why? Gearoid Buckley. Some paw. Toughest player to mark in training? Emmett Moloney, made of steel. Achievements with Tipperary to date? Munster under-21, promotion from division three and a division three league medal. Achievements with your club to date? South minor B title. Three under-21 South and County B titles. Achievements with your club to date? South and county under-12s, under-14s, under-16s and Minor. Two South senior titles and one county senior title. 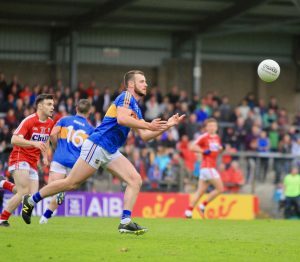 Achievements with Tipperary to date? Two Munster minor titles. All-Ireland minor title. Munster under-21 title, Division three winners medal. When and where did you first start playing football? Under-6s with Clonmel Commercials in the Sportsfield in Clonmel. Biggest influence on your football career: The parents. What sporting event would you most like to attend? Torn between a World Cup final or The Super Bowl. To date what is your favourite moment in sport? Winning the All-Ireland minor title against the Dubs in Croker. Favourite G.A.A. player and why? The Gooch, because he was just absolutely gifted. What sportsperson would you most like to meet? Cristiano Ronaldo. What is the hardest part of your sporting life? Not being able to have a social life with friends for the majority of the year. Toughest player to mark in training? I wouldn’t know but if I was to choose it’d be probably be Alan Campbell. If you won the lotto what would be the first thing you would buy? By my own box at Old Trafford. Favourite music? All types. Keane, Chris Brown, Sam Smith, even a bit of Stormzy. Favourite book? Roy Keane’s autobiography. Favourite TV show/film? Brooklyn 99/The Hardy Bucks. In ten years time I hope to be….? Alive. One thing you may not know about me…… I play the tin whistle! What sportsperson would you most like to meet? 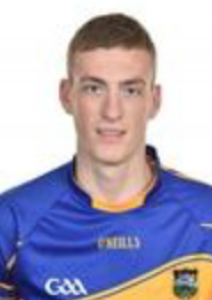 Michael Quinlivan, never see him apart from match days..
Honours: Division Three 2017, South and County championships from under-12 to minor, three county under-21 titles, one South senior and two county senior titles, one Munster senior club and one county minor A hurling title. Achievements with your club to date? Three senior county football titles, one Munster club title. One intermediate county hurling title. Achievements with Tipperary to date? 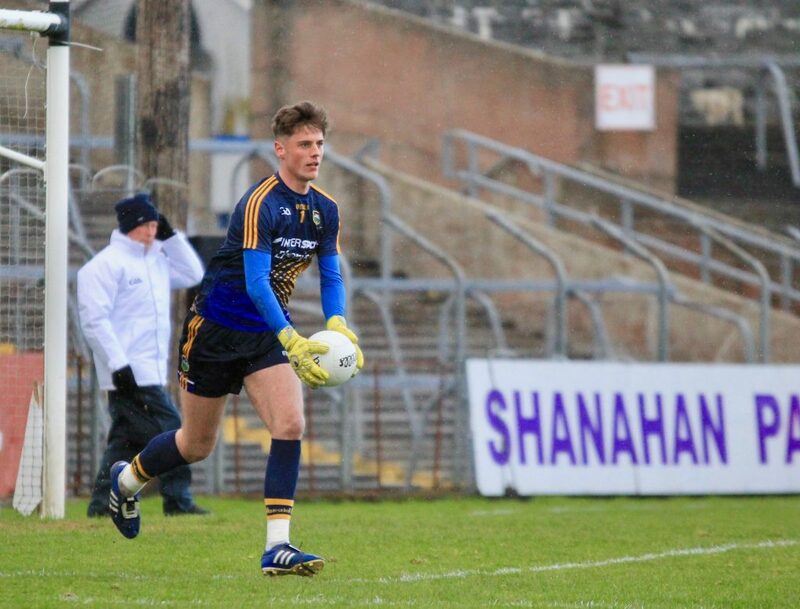 Two minor Munster titles and one All-Ireland title, under-21 Munster title. Division three league title. Biggest influence on your football career: Has to be the mother, hasn’t missed a game in years. Favourite holiday destination: Thailand is on the bucket list, need to see what all the fuss is about! Favourite music? Irish folk, anything sung by Christy Moore! Schools/Colleges attended? Golden NS, Cashel Community School, W.I.T. Achievements with your club to date? 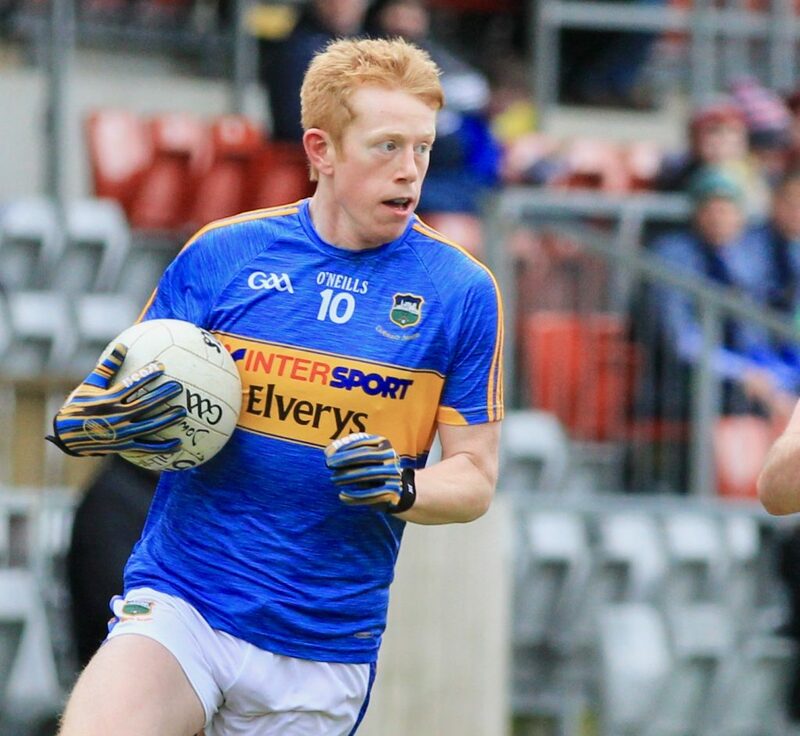 Several underage West medals from under-12 to under-21. Junior A West and county football championship, intermediate West football championship. To date what is your favourite moment in sport? 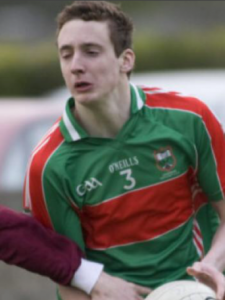 Probably winning the 2012 North hurling championship with my club. Schools/Colleges attended? Rockwell College, UCC, Hibernia College. When and where did you first start playing football? At home in Balky I presume, can’t remember. Biggest influence on your football career: My Family, parents in particular and other local club men who I played with when I was 16/17. What sporting event would you most like to attend? Super Bowl probably, but that won’t happen, so an Old Firm derby will do fine. To date what is your favourite moment in sport? Beating Galway in Croke Park to reach an All-Ireland semi-final in 2016. What is the hardest part of your sporting life? Trying to fit everything else in. Other aspects of your life come second. Toughest player to mark in training? Anyone fast. Favourite TV show/film? Both Ace Ventura films. POWER was very good too. In ten years time I hope to be….? Healthy and happy. One thing you may not know about me…… I can’t fit into a bath tub. Favourite holiday destination: Somewhere warm with a beach and a view. Haven’t travelled enough to have a favourite. Honours: National football league division 3 & 4, Munster and All Ireland intermediate hurling championship. County minor and under-21 football, county intermediate hurling, West senior football and three West senior hurling, Fitzgibbon Cup, two All-Ireland vocational schools titles, three county and Munster vocational schools titles. Hopes for 2017: To get promoted to Division Two of the National Football League and to win the Munster senior football title. Which Gaelic footballer has impressed you the most? Tomas O Sé and Brian Dooher because of their success, attitude, skill and the positions they play. 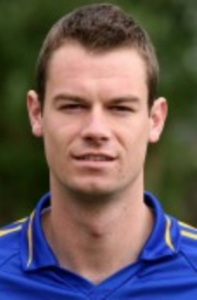 Toughest opponent: Sean Kavanagh as he is very strong, good off both feet and has an eye for a score. 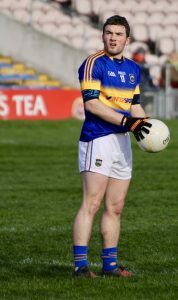 Most memorable moment playing with Tipperary: Beating Cork by two points for the first time in 72 years to qualify for the Munster final. Advice to young players: Don’t be afraid to make mistakes, it is how you get better! Always challenge yourself. Honours: Division 3 & 4 league titles, Munster under-21 hurling, one intermediate county club hurling championship, North under-16 C hurling championship, one senior county football championship (Thomas MacDonaghs), north and county junior football championship, two north intermediate football championships, north under-21, minor and under 16 B championships, All-Ireland fresher hurling championship (Waterford Institute of Technology), one all-Ireland vocational schools championship. 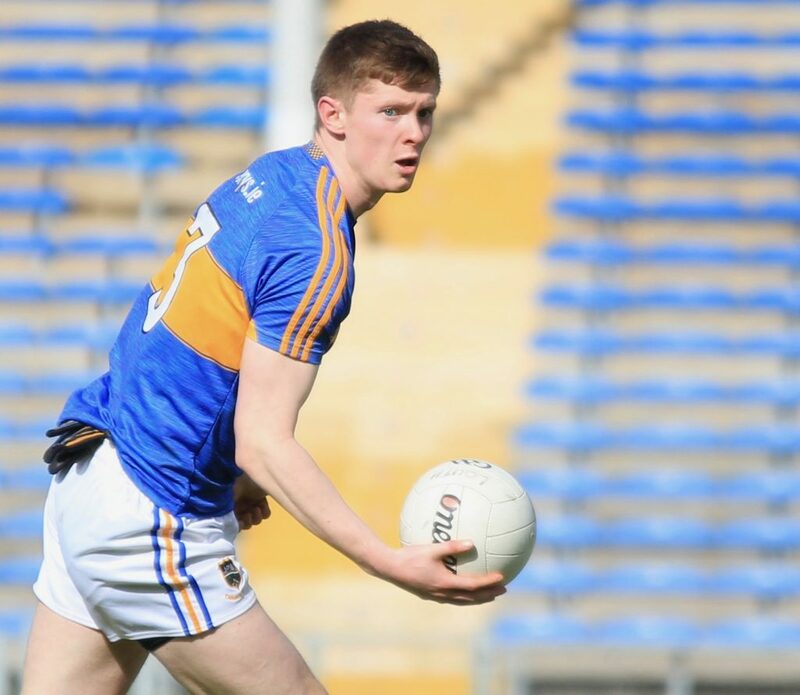 What Gaelic footballer has impressed you the most: George Hannigan. Twelve years an inter-county midfielder with no pace. Hero! Who has been your toughest opponent? 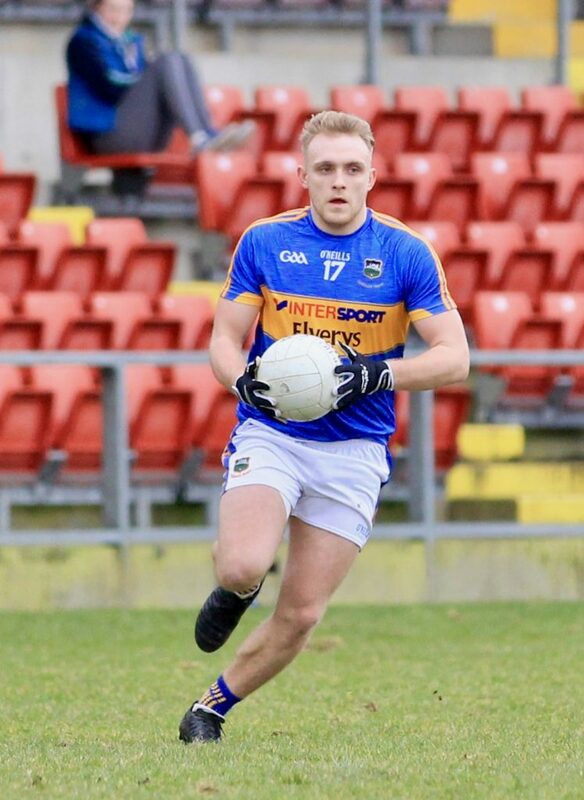 Ciaran (the doc) Mac Donald – he defies logic, he has no hips and he cleans up at training and matches every week when he returns to us in April with no training. Favourite GAA Grounds: Gardener Park, Borrisokane – where it all began! 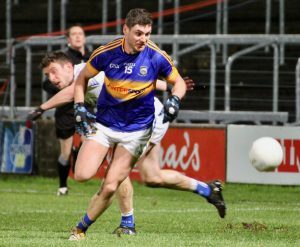 Most memorable moment playing with Tipperary: All Ireland Q-Final v Galway. Spent my career trying to make it to this stage and to win it was a massive boost. Advice to young players: Hard work beats talent. What changes, if any, would you make to Gaelic football? Put a limit on hand passing. Way too many and skill of kicking has decreased. Honours: South and county minor and Under-21 titles, South senior football, All Ireland senior B colleges title. Hopes for 2017: To win promotion in the league and have a long championship run. What changes, if any, would you make to Gaelic football? I wouldn’t change anything! What sportsperson, outside of GAA, do you admire? Cristiano Ronaldo due to his will to win and be the best. 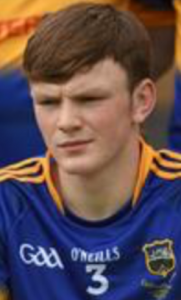 Honours: Munster under-21, Munster senior colleges with High School, Clonmel. 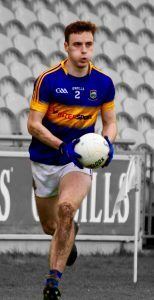 Hopes for 2017: To start for Tipperary in the championship and to win a Munster championship and reach an All Ireland semi final. Which Gaelic footballer has impressed you the most? 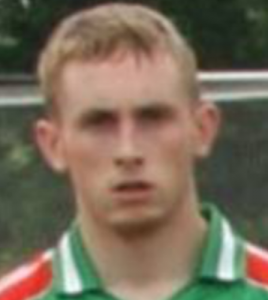 Robbie Kiely, I’ve learnt a lot from him by the way he plays in training and matches. Advice to young players: Always keep a good level of aerobic fitness during off season and around Christmas. Hopes for 2017: To build on last year’s success. 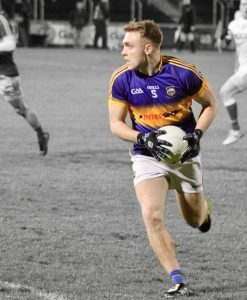 What Gaelic footballer has impressed you the most: Gerry Horgan, magic left foot! Who has been your toughest opponent? Brian Horgan, in my ear on and off the field. Favourite book: Sugra in primary school! 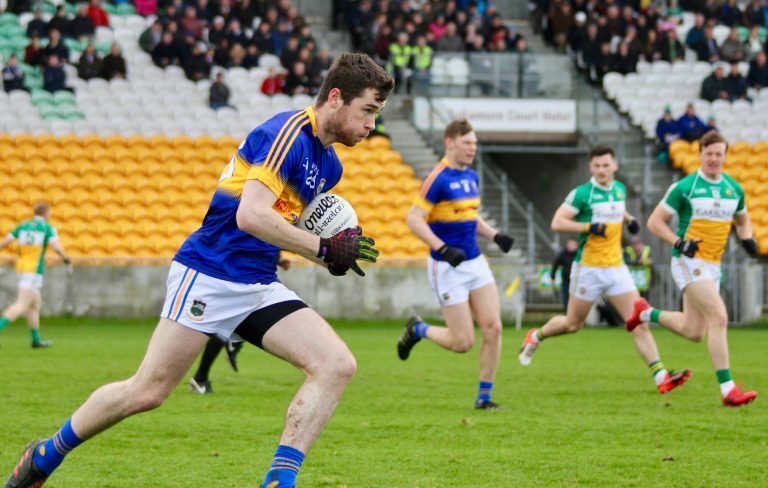 Which Gaelic footballer has impressed you most? Declan Browne. He thrived despite Tipperary football struggling at the time. What changes, if any, would you make to Gaelic football: Get rid of the black card in favour of the sin bin. What sportsperson, outside of GAA, has impressed you? Conor McGregor, his rise to the top has been impressive. 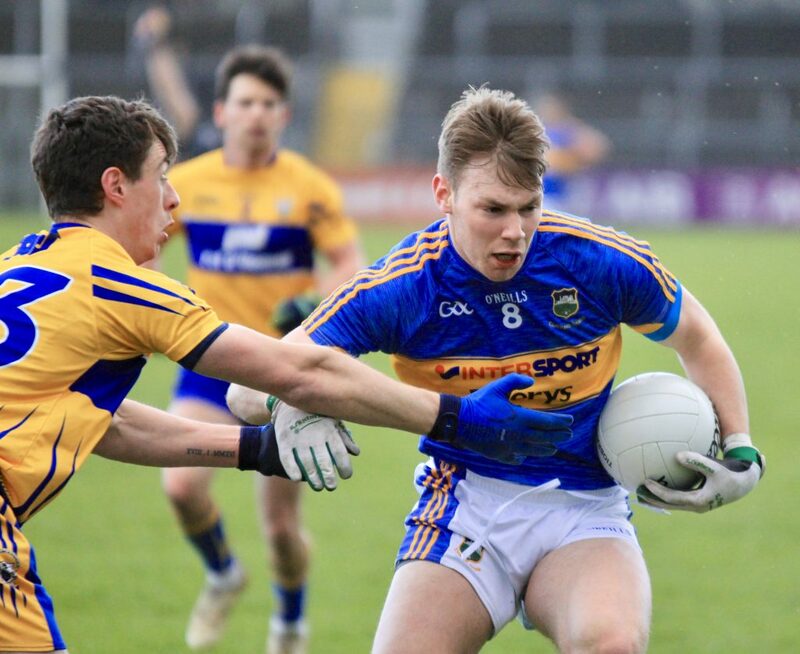 Honours: One Munster minor and Under-21 championship, Under-21 B South and county, four All Irelands with University College Dublin. Which Gaelic footballer has impressed you the most? Jimmy Feehan because he has learned how to kick pass! Outside of GAA, what sports do you follow? I enjoy soccer, rugby and golf and I’m a huge Manchester United fan. Advice to young players: Just enjoy it! What changes, if any, would you make to Gaelic football? Start the championship earlier. 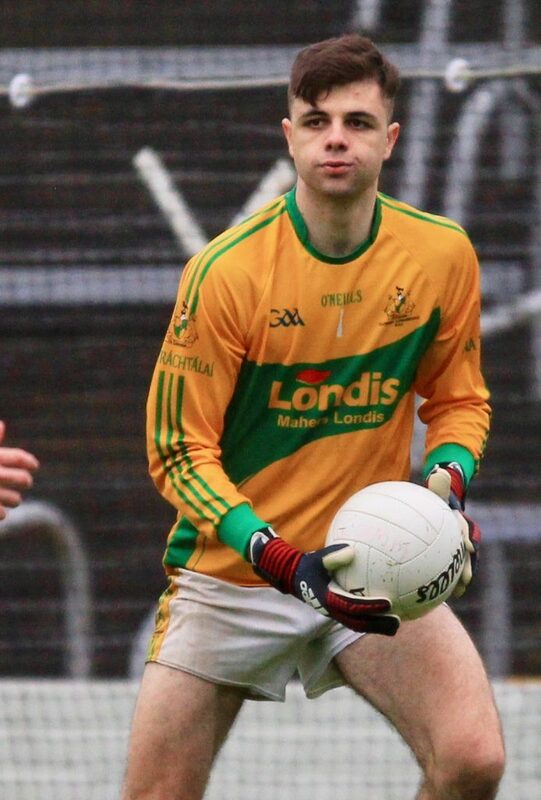 What sportsperson, outside of GAA, do you admire and why? Kieran “Shelly” Tobin as he’s a great man to get things done! Hopes for 2017: To win promotion to division 2 and to finally win a Munster final. Favourite book: I’ve never read a book! 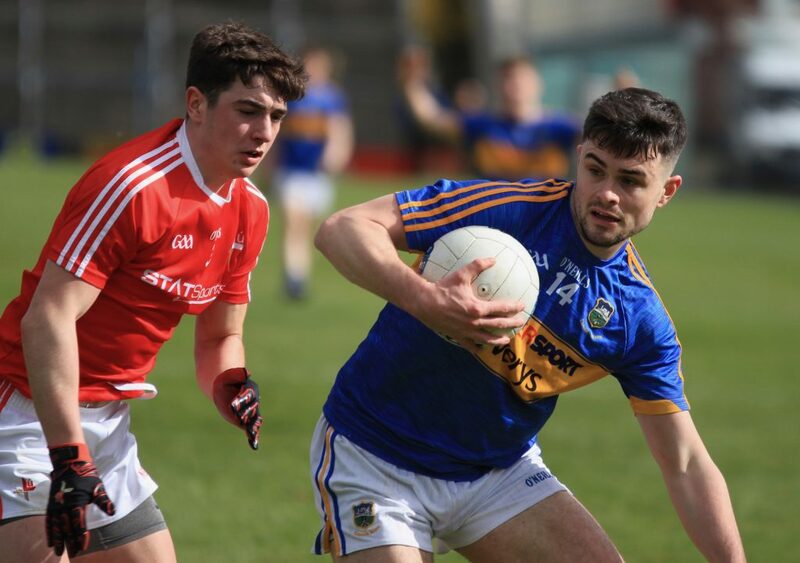 Honours: Munster and All Ireland minor football 2011, Munster minor 2012, Munster under-21 2015, South and county under-12, under-14, under-16, minor, junior and senior, under-18 All Ireland schools. Hopes for 2017: To win the Munster final and play in Croke Park in August. 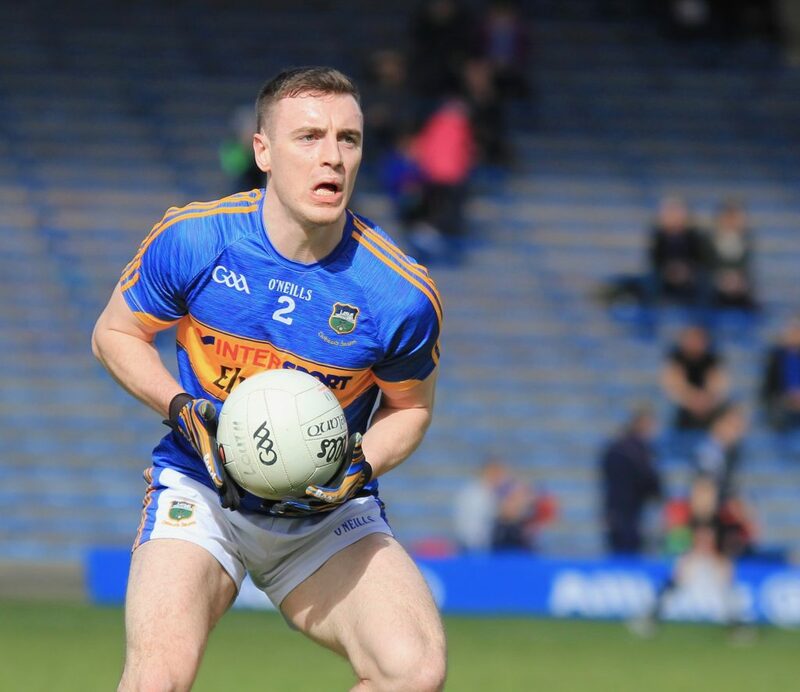 Which Gaelic footballer has impressed you and why? Brian Fenton because he was called into the Dublin panel in 2015 and has become one of, if not the best player in the country. 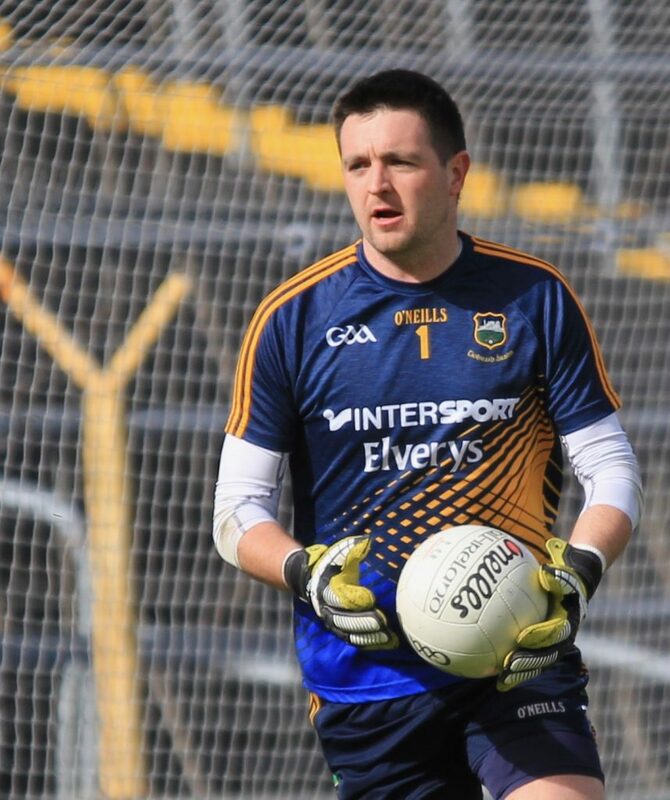 Toughest opponent: Brian Geaney, when he gets an eye for goal he rarely misses. 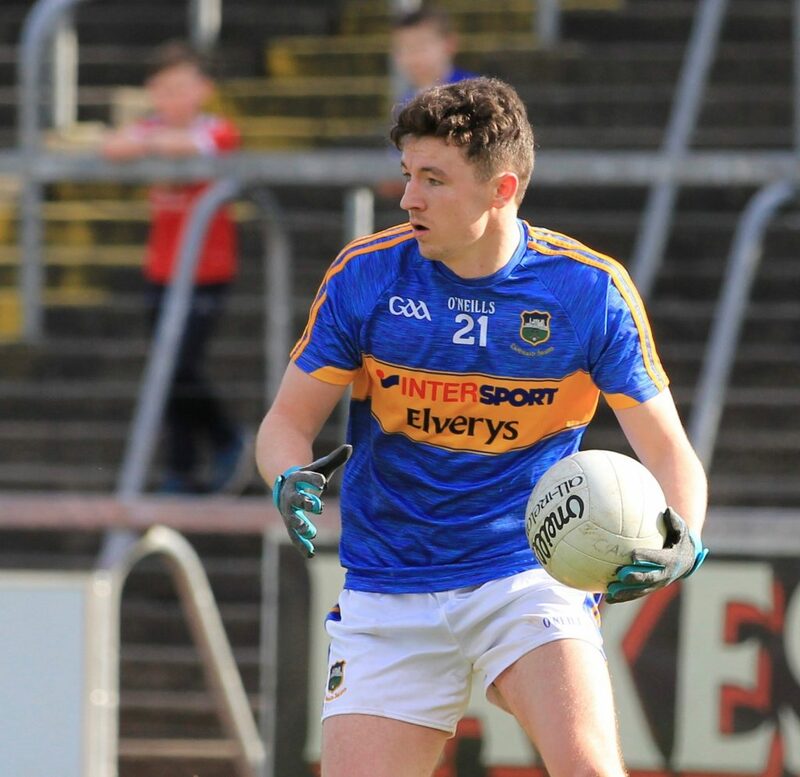 Most memorable moment playing for Tipperary? The All Ireland minor final of 2011, beating Dublin in Croke Park and 30 to 40 thousand Dublin fans is hard to top. What sports, outside of GAA do you enjoy? Soccer, I’m a big Manchester United fan. I also like to play pitch and putt as well as golf. Advice to young players: Practice and believe in your ability. What sportsperson, outside of GAA, do you admire? Roy Keane, he was a true professional and a leader. What hobbies/interests do you have outside of GAA? I love to attend music festivals when I can. 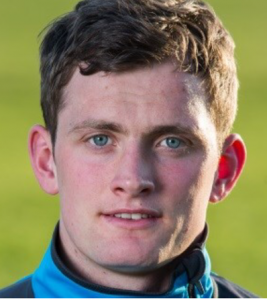 What Gaelic footballer has impressed you the most: Philly McMahon, he is just a hardy character and rarely gets bet. 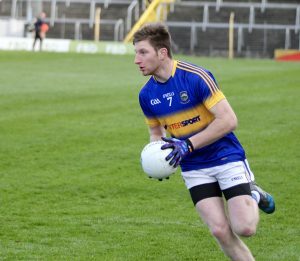 Most memorable moment playing with Tipperary: 2013 beating Cork in Semple Stadium was one of my best days ever with any team. We had an incredible bond. Favourite TV Show/Film: Grey’s Anatomy and Shawshank Redemption. What sports, outside of GAA, do you enjoy? The rugby sevens world series. Advice to young players: Enjoy meeting all the lads for matches and training no matter what, win or lose, but if you work hard and have the chance of winning with your friends do it !!! There’s no better feeling in the world. What changes, if any, would you make to Gaelic football? Allow six to eight steps with the ball before you play it. What sportsperson, outside of GAA, do you admire? Dan Carter, cool, calm and a pleasure to watch. What Gaelic footballer has impressed you the most: Dublin’s Diarmuid Connelly due to his ability to kick off both legs. 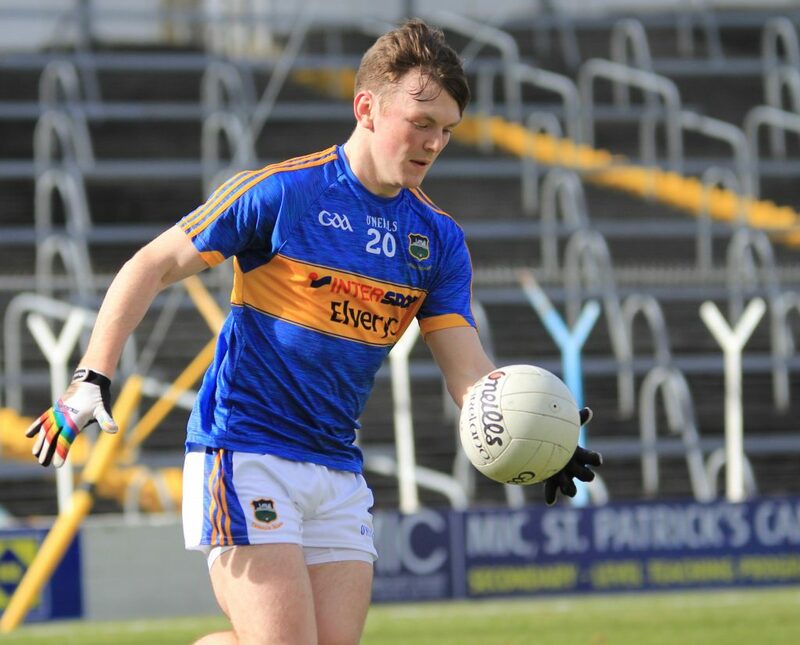 Most memorable moment playing with Tipperary: Winning the minor All-Ireland title was very special. Favourite drink: Water or Lucozade Sport. What sports, outside of GAA, do you enjoy? Soccer and I’m a big follower of Arsenal. Advice to young players: Practice everyday, not just at training. What changes, if any, would you make to Gaelic football? Get rid of the black card. What sportsperson, outside of GAA, do you admire? Paul O Connell due to his leadership on and off the field. 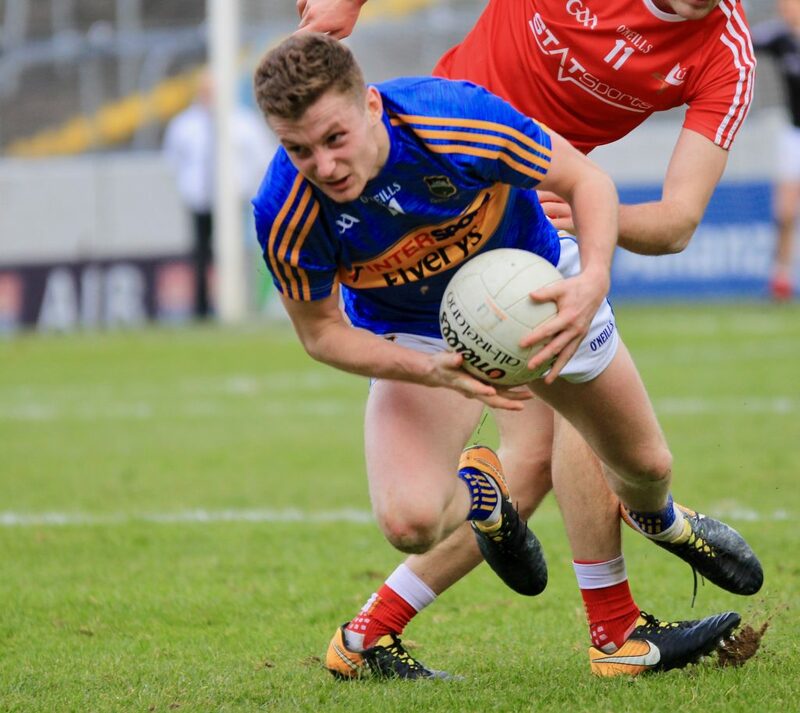 Most memorable moment playing with Tipperary: Winning the Munster under-21 football final against Cork. Favourite GAA Grounds: Semple Stadium, Thurles. Favourite Music: Anything but rap! Outside of GAA, what sports do you enjoy? I enjoy soccer and I’m a huge Arsenal fan. Advice to young players: Keep going! Honours: NFL Promotion Div 4, 2008; NFL Div 3 title 2009; Member Irish Compromise U-17 team. Won series 2005; Trench Cup winner with Mary I in 2008; Harty Cup an All-Ireland College winner with Saint Flannans 2005. 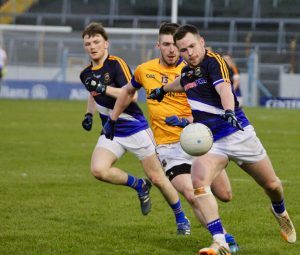 George also played a key role in Thomas MacDonagh’s historic win in the senior football championship in 2011 and won divisional honours with them in 2007, 2008, 2009 and 2010. 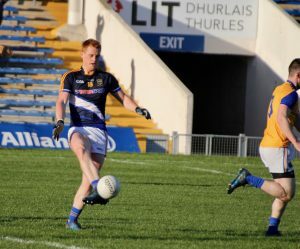 He has also won two North Tipperary junior football championships and a north intermediate hurling medal with his club Shannon Rovers. 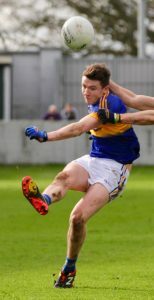 George made his National Football League debut for Tipperary at midfield against Sligo February 2006. 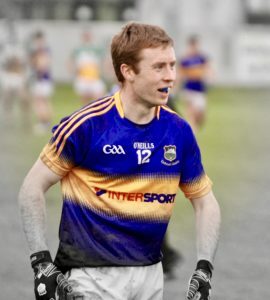 George was the captain of the Tipperary Minor Football team in 2005. 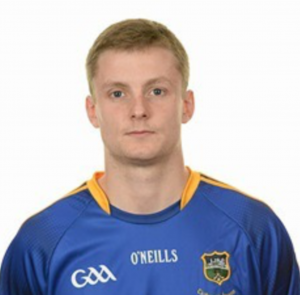 George is also an accomplished hurler, winning a Harty Cup medal with St. Flannans at wing-back in 2005. 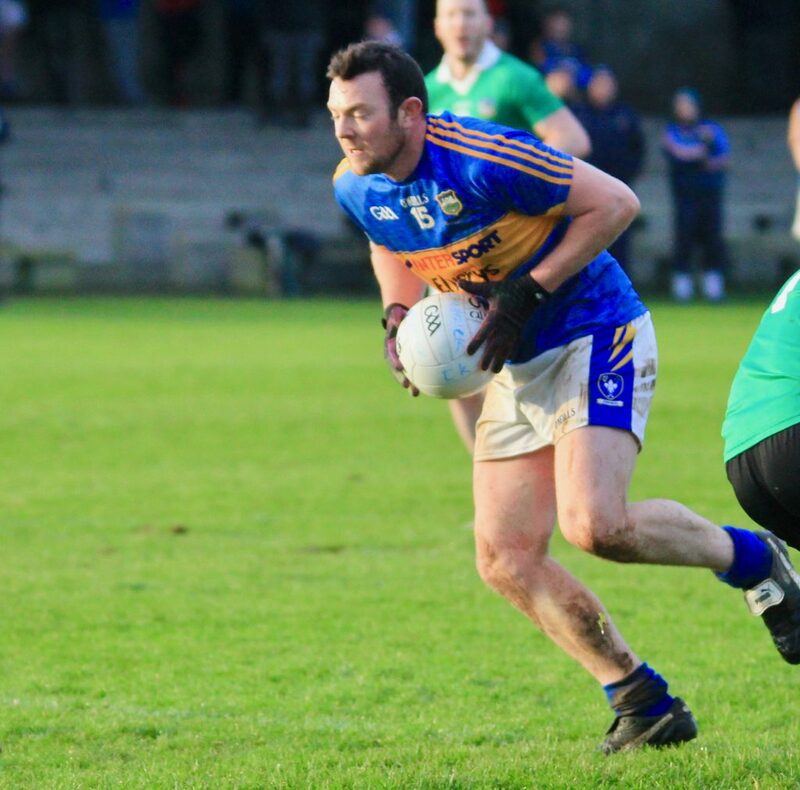 George is from the Shannon Rovers club in North Tipperary and he captained their Junior Football team to win the 2005 North Junior A Football Final against Nenagh Eire Og. 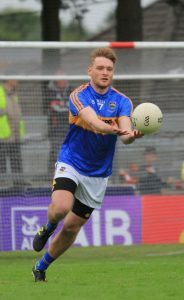 George made his championship debut as a substitute against Kerry in the 2006 Munster Senior Football semi-final. His aim for 2017 is very simple: “to improve upon 2016”. He regards Limerick’s John Galvin as his toughest opponent saying that when you have to mark him you are “always in for a tough day”. 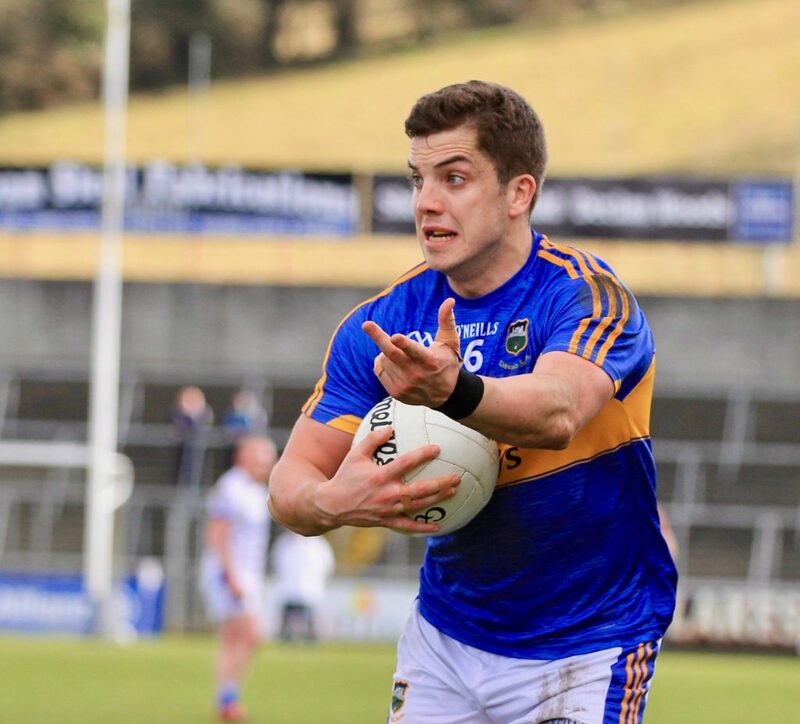 His favourite ground is Croke Park and he regards Tipperary’s victory over Cork in 2016 as his most memorable day in the Blue and Gold as we “finally overcame a division one side”. 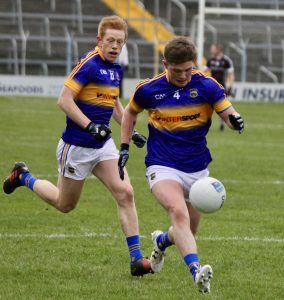 Most memorable moment playing with Tipperary: Beating Kildare in the minor All Ireland semi-final. 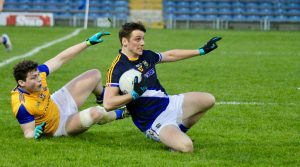 Hopes for 2017: Gain promotion to division 2 and to return to Croke Park in the championship. Which Gaelic footballer do you admire the most? Diarmuid Connolly, the most skilful player in the game despite the negative attention he receives. He can score off his right or left from any angle. 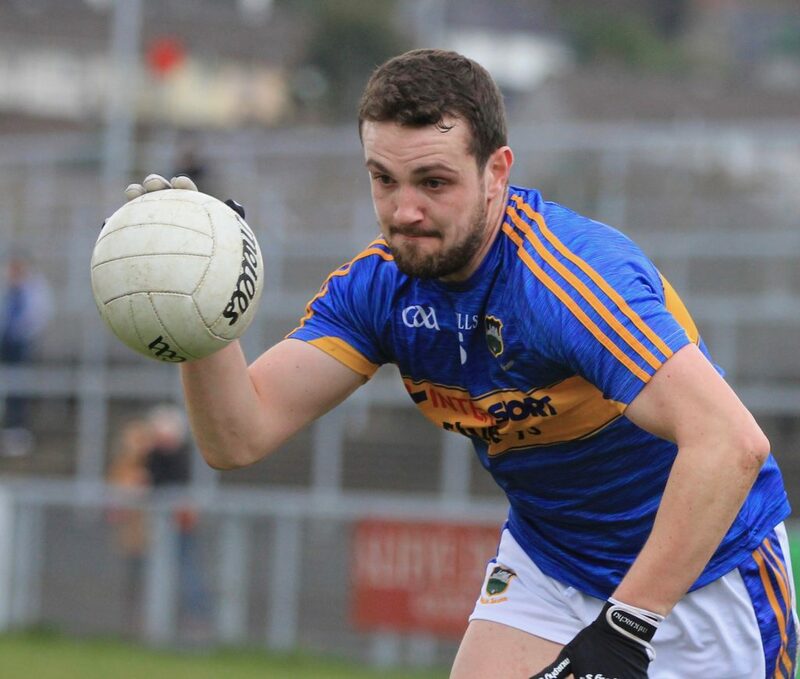 Toughest Opponent: Paul Geaney, he is very fond of going for goals! 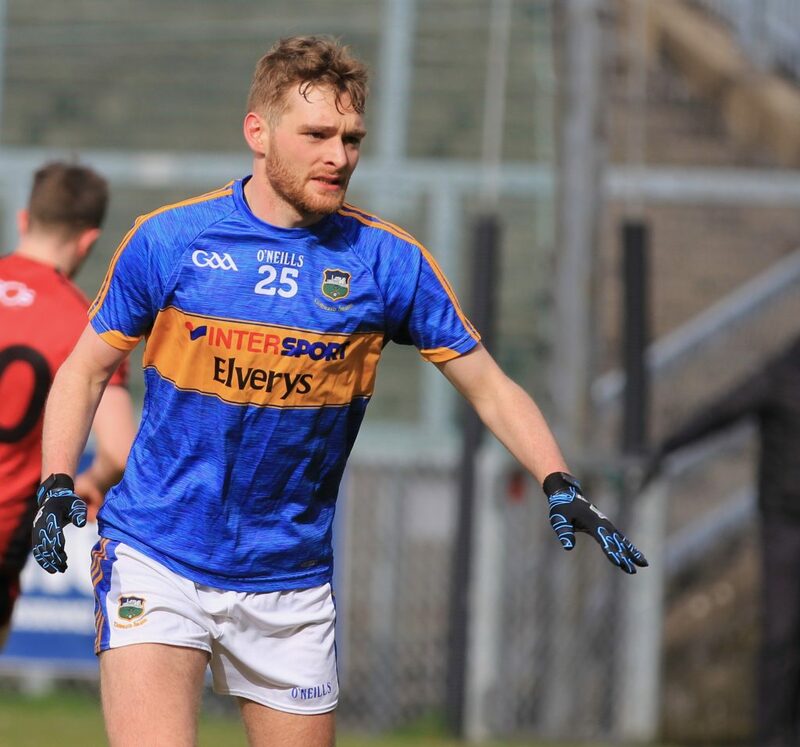 Most memorable moment playing with Tipperary? 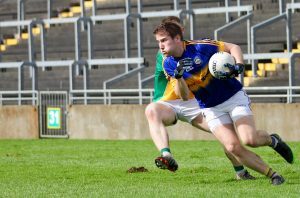 Winning the Munster under-21 football final against Kerry in Tralee. 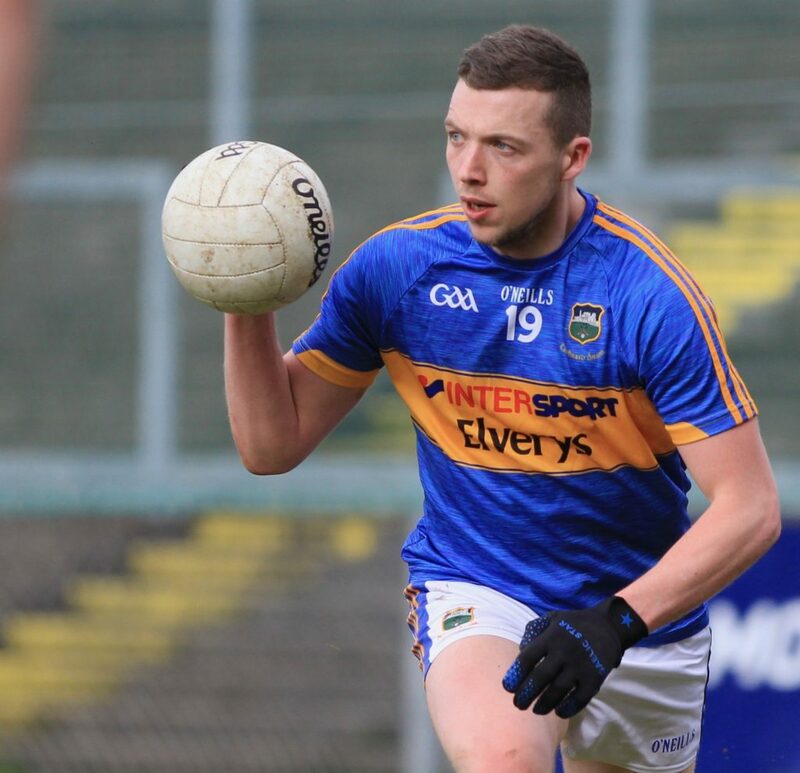 It was the first ever championship won by Tipperary at that grade in football. Favourite Food: Chicken and mushroom vol-au-vent. Outside of GAA, what sports do you enjoy? I play soccer and golf and I’m a massive Liverpool fan. Advice to young players: Never stop working on the basic skills of the game. What changes, if any, would you make to Gaelic football? Allow a clean pick up off the ground and get rid of the black card. What sportsperson, outside of GAA, do you admire? Lionel Messi as he is the best player in the world. What interests and hobbies have you outside of GAA? I love being on the golf course and I’ve started to swim a little lately. When and where did you first start playing football? Kilmacud Crokes U-6’s in Dublin. Favourite G.A.A. 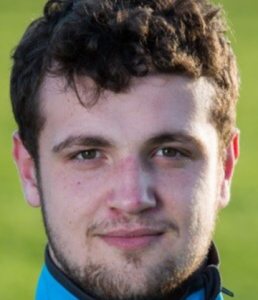 player: I would say Ciaran McDonald here on our panel, a pure inspiration to anybody that wants to play football. What is the hardest part of your sporting life? Keeping a balance with my work and social life. Toughest player to mark in training? At the moment it would be Holly. If you won the lotto what would be the first thing you would buy?! A helicopter or something to get me around the place quicker. Favourite holiday destination: Berlin, they know how to enjoy themselves. Favourite Food: At the moment I like a few doughnuts every now and then. Favourite Music: Kendrick Lamar’s new album is on repeat in the car at the minute. In ten years time I hope to be: Successful and Lucky. One thing you may not know about me…… When I was about 11 or 12 I ran over my Dad in a motorised go kart and broke his leg. Fair to say I was not allowed drive it again. Honours: Two Munster minor football, one Munster minor hurling, one Munster under-21 football, Munster senior hurling, All Ireland minor hurling and football. South under-16, minor, junior and intermediate titles and county junior title. Senior county, Munster and All Ireland B schools titles. Hopes for 2017: Improve on last year. What Gaelic footballer do you admire the most? Conor Sweeney because of his work ethic. Toughest opponent? Kevin McLoughlin. His movement is excellent and as a result he is very hard to track. 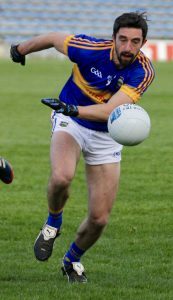 Most memorable moment playing with Tipperary? Beating Galway in 2016. They were provincial champions and we played to our potential. Outside of GAA, what sports do you follow? I enjoy rugby and follow Munster. What changes, if any, would you make to Gaelic football? Let the players pick the ball directly off the ground. What sportsperson, outside of Gaelic football, do you admire? Paul O’ Connell. He is a savage competitor but always seems humble and down to earth. What interests and hobbies have you outside of GAA? Meeting up with friends and playing pool in town. Favourite book: Roy Keane’s first autobiography. What sports, outside of GAA, do you enjoy? Golf, rugby and soccer and I support Manchester United. Honours: Munster and All Ireland minor football 2011, County senior football 2013, 2014 & 2015, county senior hurling 2013, Fitzgibbon Cup 2014. 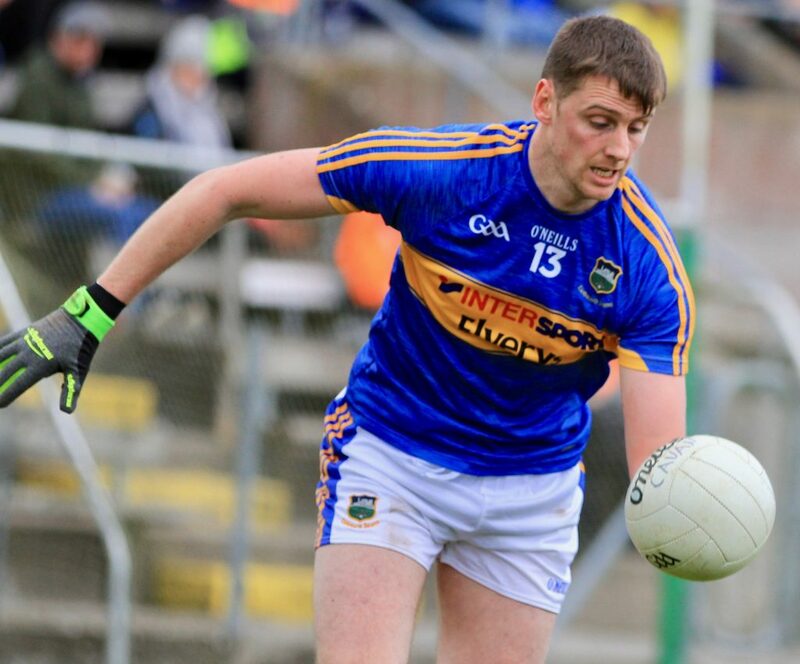 Honours: (With Tipperary) Under-14 All Ireland (hurling), Under-15 Munster (hurling), Under 18 Munster (hurling), Under-14 Munster (football), Under-15 Munster (football), Under-17 Munster (football) (With Drom & Inch) Under-14 Mid and County A titles (hurling and football), Under-14 county Féile na nGael, Under-16 Mid A (football), Under-16 Mid and County A (hurling), Under-18 Mid A (hurling), Under-18 Mid and County A (football), intermediate county football, (with school) White Cup and Dean Ryan Cup (both hurling) and Munster senior B football. 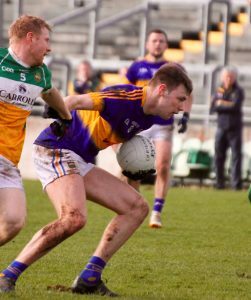 Hopes for 2017: Gain promotion to division 2 of the National Football League and to contest the Munster senior football final. Which Gaelic footballer has impressed you the most? Diarmuid Connolly (Dublin) as he the most gifted footballer of this era. Who has been your toughest opponent? Mikey Connors, he never stops running! 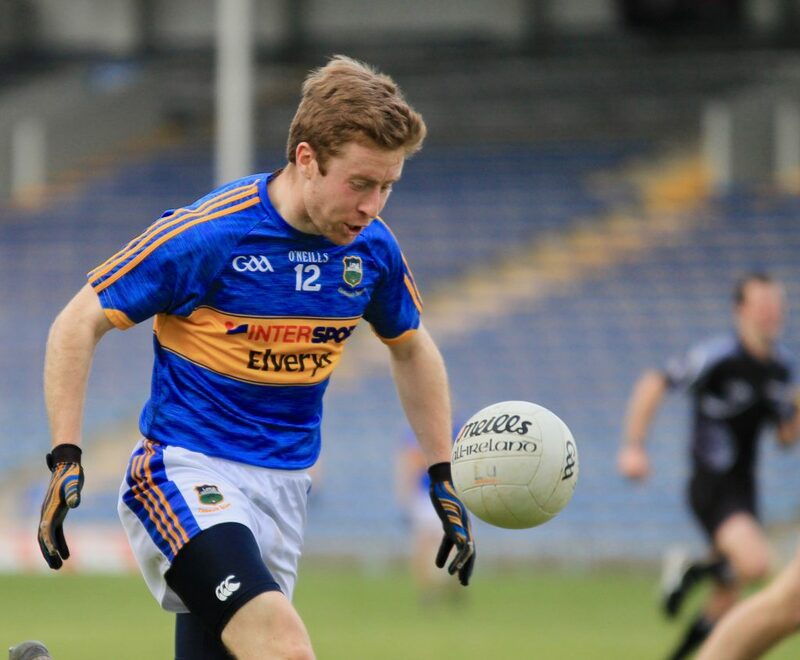 What has been your most memorable moment playing for Tipperary and why? 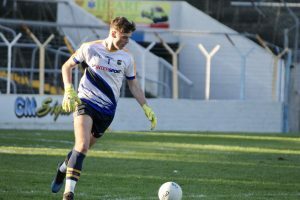 Playing in an All-Ireland final in Croke Park, it was my childhood dream. 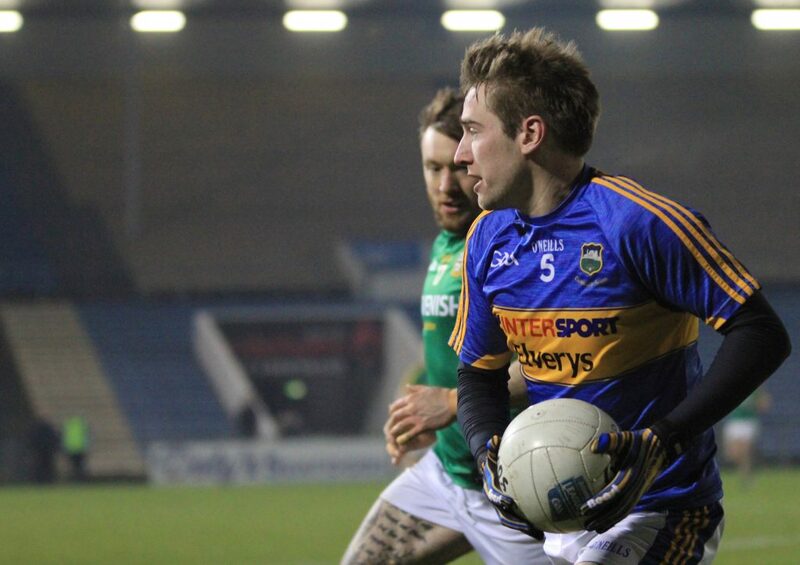 What sportsperson outside of GAA, do you admire? Conor McGregor because he made himself world champion and started from nothing. 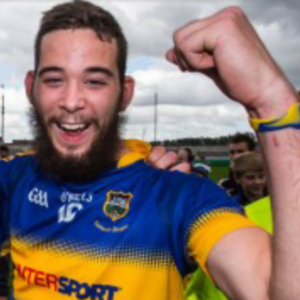 Most Memorable Moment Playing with Tipperary: Beating Cork in the Munster championship in 2016 and then the celebrations following the full time whistle against Galway. Favourite music: Any music bar rock! What are your interests/hobbies? Minding Katie takes up most of my time outside of GAA!! Favourite book: Paul O Connell’s book – some read! 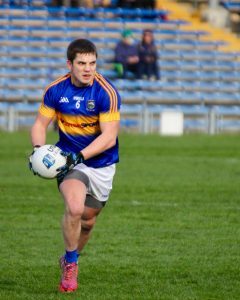 Most memorable moment playing with Tipperary: Winning the Munster Under-21 in 2015. Just being a part of it was something special. Outside of GAA, what sports do you enjoy? I like to watch soccer and golf. Advice to young players: Listen to your mentors and make sure you learn something every night you go to the field. Honours: Munster Under-21 football, minor B county hurling, minor B South football, Under-21 B South football. What are your hopes for 2017? To get back to both a Munster final and Croke Park. Which Gaelic footballer has impressed you the most? Lee Keegan as he sacrifices his own game for the team. 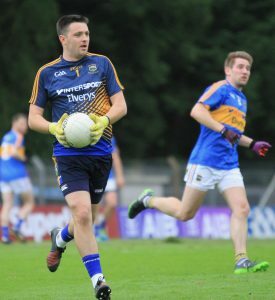 Most memorable moment playing for Tipperary: After the All Ireland quarter final against Galway, it was a great feeling to win and we got to enjoy it with friends and family. Honours: Munster under-21 football 2015, under-21 and minor B football county final, under-21 B hurling county final. Various under-12, under-14 and under-16 county finals, Rice Cup 2007, 2008. Croke Cup 2008, 2009. White Cup 2008. What sports, outside of GAA, do you enjoy? Soccer and rugby and I support Arsenal and Munster. What sportsperson, outside of GAA, do you admire? Paul O Connell, he is very driven and will do anything to win. Hopes for 2017: To win promotion in the National League. Which Gaelic footballer has impressed you the most? Diarmuid Connolly because he makes the game look so easy. Outside of GAA, what sports do you enjoy? I enjoy soccer and I’m a massive Manchester United fan. Advice to young players: Learn from your mistakes and always stay positive. What sportsperson, outside of GAA, do you admire? Roy Keane because he always speaks his mind. 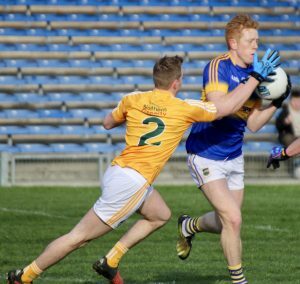 What Gaelic footballer has impressed you most? Conor McManus because he is consistently good. Who is your toughest opponent? James Loughray as he is a very tight marker. Outside of GAA, what sports do you enjoy? Munster and Irish rugby and I follow Manchester United in soccer. Advice to young players: Do whatever you can to stay injury free! 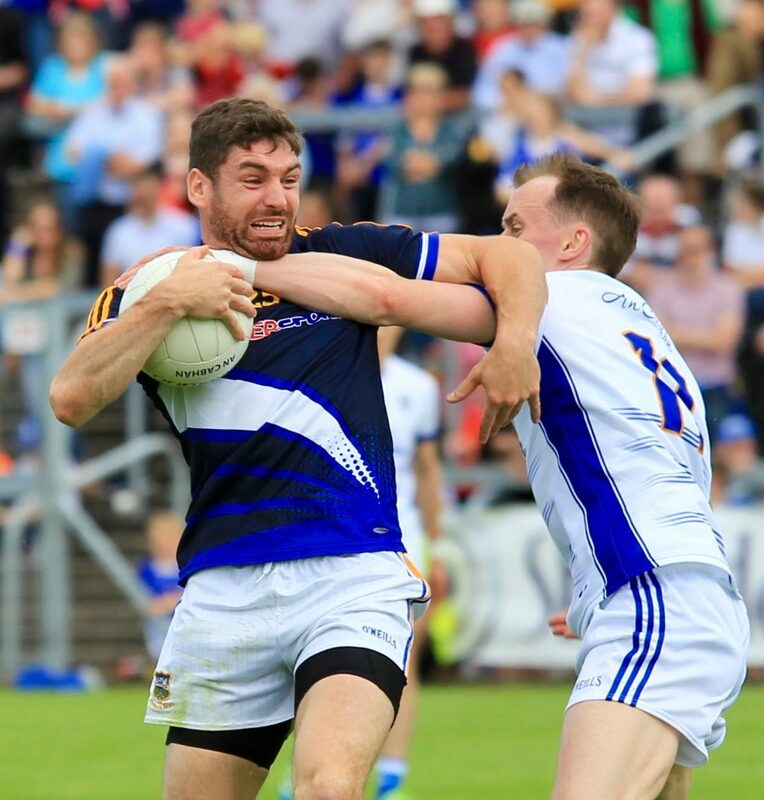 What changes, if any, would you make to the rules of Gaelic football? Improve the black card situation. 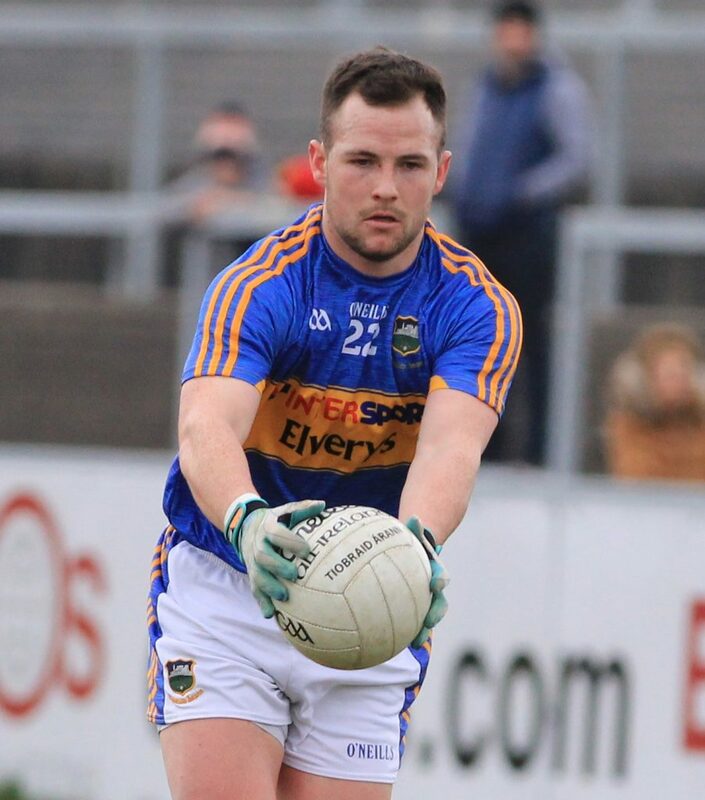 What sports person, outside of GAA, do you admire and why? Jonathan Sexton. I don’t like him but I admire him. He does what it takes to be the best. What interests/hobbies have you outside of GAA? Cinema, socialising and watching television. What is the best book that you have read? I haven’t read a book since my Leaving Certificate. Hopes for 2017: Play as many league games as I can and for the team to gain promotion from division 3. Make my senior championship debut, beat Cork and win a Munster championship. Which Gaelic footballer has impressed you the most? Michael Quinlivan for what he has achieved. Favourite music: I like just about everything including Ed Sheeran, Gavin James, The Coronas, Coldplay, UB40, Westlife…. Outside of GAA, what sports do you follow? I enjoy golf and I’m a big Munster rugby and Manchester United fan. Advice to young players: Practice as much as possible, listen to your coaches and do what they tell you! What changes, if any, would you make to Gaelic football? I’d have no black card as it is not being used correctly. What sportsperson, outside of GAA, do you admire? Roy Keane, I’ve always admired him from a young age. What are your interests and hobbies? Watching films, reading the odd book and playing golf when I can.